Nebraska has reached the midway point of its shortened week as the Huskers continue to prepare for Friday’s game at Illinois. Defensive coordinator Bob Diaco said that the disparity between the Illini coming off of a bye week while Nebraska played on Saturday is strange, but there is one benefit to it. Diaco is speaking particularly about the potential for Illinois to use two quarterbacks, which it did in a 47-23 loss to South Florida in week three. However, Diaco said regardless of who is behind center, the system is the same. Junior linebacker Luke Gifford, who entered the season listed as a second-stringer, played every snap on defense last week against Rutgers and has become one of Nebraska’s most indispensable defenders. “Luke, having never really played a lot of football now, is a guy that we really don’t want to bring out of the game,” Diaco said. “He’s a stalwart out there, he’s a multi-jobs player, he’s got a lot of tangible skill and intangible skill. He’s long and quick and fast. Smart, football intelligent, he studies, he cares, he’s contact-tough, so there are a lot of elements there. He’s played both, to the field and the boundary. The other outside linebacker spot has been ravaged by injuries with Marcus Newby and Tyrin Ferguson both going down with injuries, and to make up for that Diaco has used a handful of different players in a variety of ways including redshirt freshman Ben Stille, sophomore Alex Davis and junior Sedrick King. 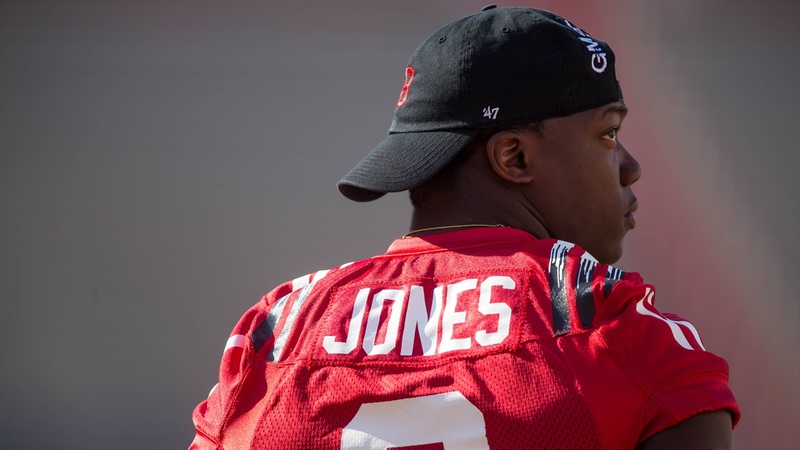 Nebraska got a big boost on Tuesday as senior cornerback Chris Jones, recovering from an offseason meniscus surgery, made his return to the practice field in a limited fashion. After practice, Jones sent out a message on Twitter. Jaimes wasn’t the only offensive lineman who got his first start against Rutgers, however, as redshirt sophomore Michael Decker took over for the injured Cole Conrad at center.